Cholesterol is essential for your body, used in synthesis of hormone, digestion, brain function and more. With age, however, the levels of blood lipids, including 'bad' LDL and triglycerides tend to rise: their buildup blocks arteries, raising the risk of heart attack and stroke. But it's alright! 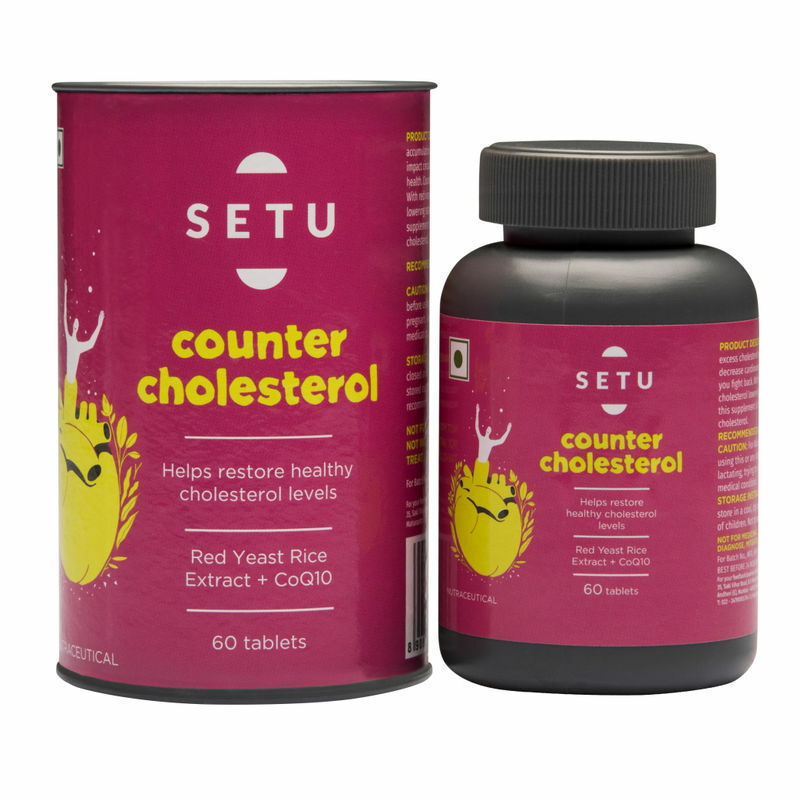 Setu's Counter Cholesterol daily supplement comes to your rescue. Red yeast rice extract is a natural source of statins-compounds that block the enzyme responsible for the synthesis of cholesterol. In addition, there's energy-enhancing CoQ10, to replenish the natural supply that statins reduce as a side effect. Choose the healthier way to checkmate cholesterol!